Plump your skin with Liquid Collagen! 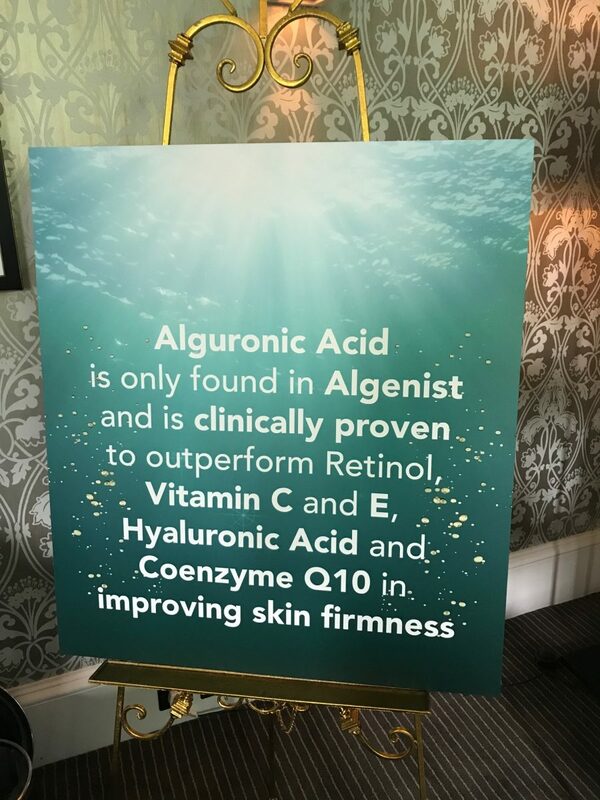 Algenist is famous for the use of ‘microalgae’ which is one of the most nutrient-rich and oldest forms of algae existing and pride themselves on being a brand that matches science with nature to produce effective cutting-edge positive ageing skin care products. So it came as no surprise to discover that the brand is actually based in the land of technology Silicon Valley in the states. This brand is passionate about only using sustainably sourced microalgae for their products, they also use microalgae oil which is what helps to deliver the moisture. According to the brand, the combining of algogenic acid with CQ10, hyaluronic acid & peptides amongst others help to make this serum effective. 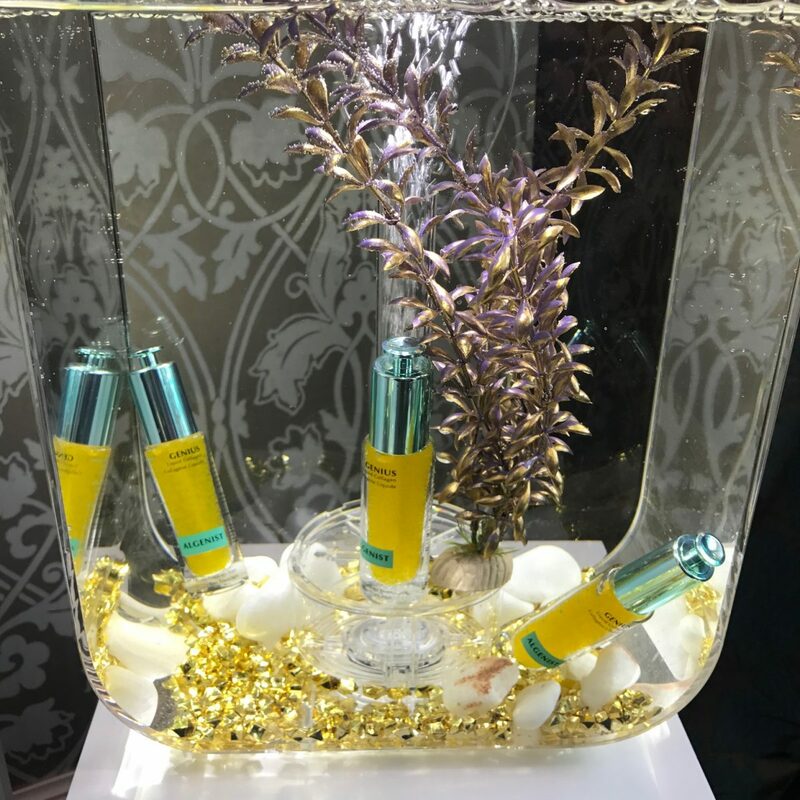 It’s 13,000 microalgae oil beads are designed to be easily absorbed by the skin and this is how it “rebuilds the collagen matrix” of the skin. Algenist skincare is grounded in science, aiming to deliver intensive anti-ageing by harnessing the regenerative ability of the nutrient-rich microalgae, a key ingredient in their products. Their mission is for people to see visible and measurable anti-aging results in 10 days, which is an amazing claim! Microalgae Oil is sourced from algae and is their second patent-pending ingredient. Its rich composition containing Oleic Acid, Phytosterols, Tocopherols and Tocotrienols replenish essential moisture and nutrient loss to the skin. 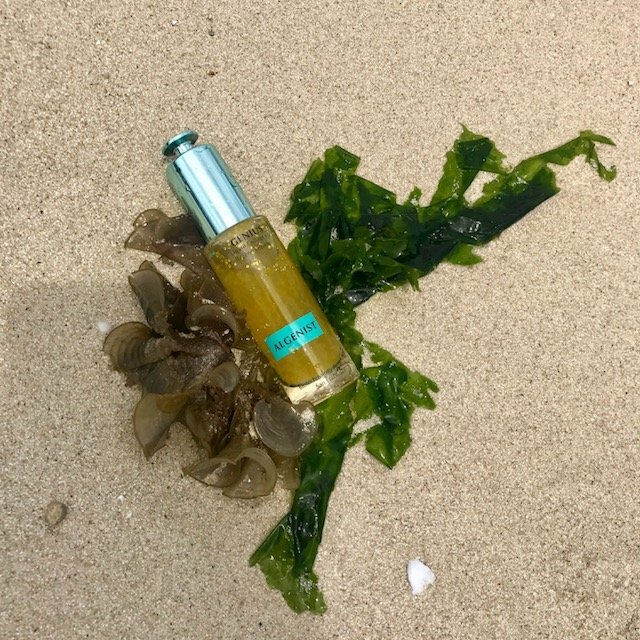 According to Algenist, Microalgae Oil is clinically proven to keep skin hydrated 5x longer than untreated skin over a 24-hour period. In every full sized bottle of Genius Liquid Collagen, there are 13,000 beads of Microalgae Oil! Once you’ve applied it your skin is left with a radiant glow. Collagen is the first ingredient on the ingredients list which promises a high concentration in the formula. Paraben and gluten free, vegan. This product is sustainably produced and sources from natural, vegan-friendly ingredients. The magic box of Alpha H Liquid Gold! Beauty starts from within… here’s two Superstar Supplements!